Valomnia helps you digitize all your customers ID Files and ensure the authenticity of these documents in order to certify the identity of each customer. Valomnia improves your customers’ experience and helps you get closer to your customers to offer them the right service at the right time wherever they are. The solution allows you to boost your sales and manage your distribution through a unique platform and to centralize incoming data from direct and indirect channels. Valomnia helps you control your brand-image and have a consistent communication strategy. 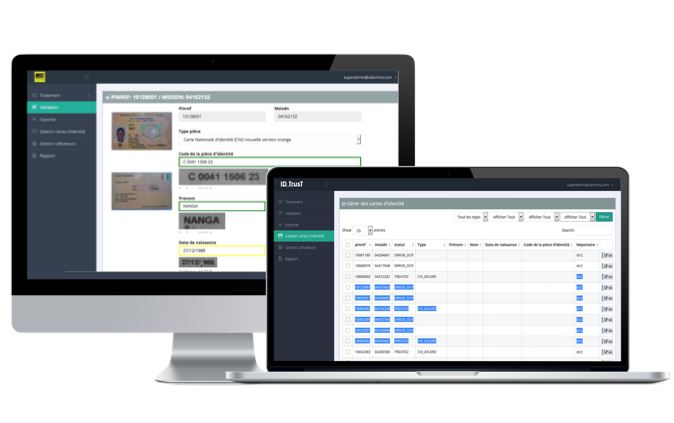 Cloud Solution to Digitize and certify the authenticity of customers’ ID documents. With ID Trust get sure of the identity of old, new and future customers, store all their ID Data and make it available for any digital use. 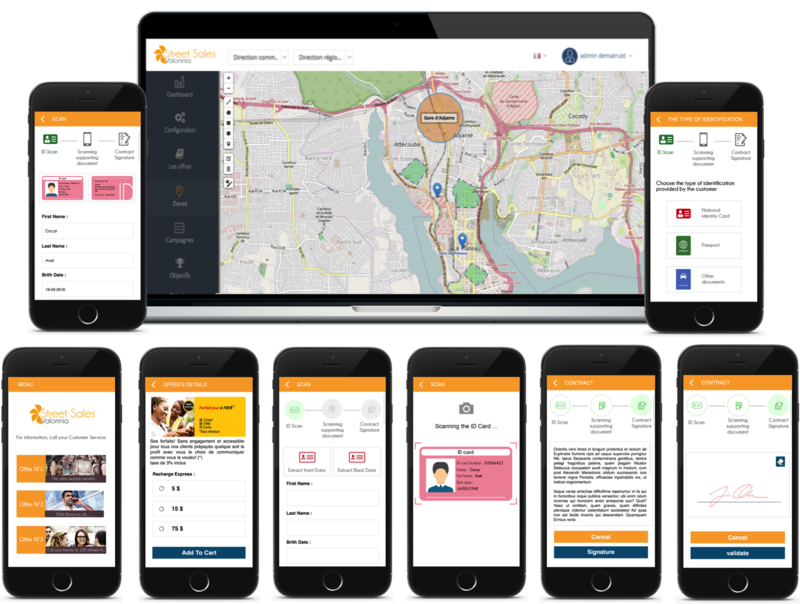 With Valomnia Street Sales, reach your customers wherever they are, eliminate paperwork, generate instant contracts while in the field, monitor your street sellers trough a map in real time and launch instant and highly targeted sales campaigns. 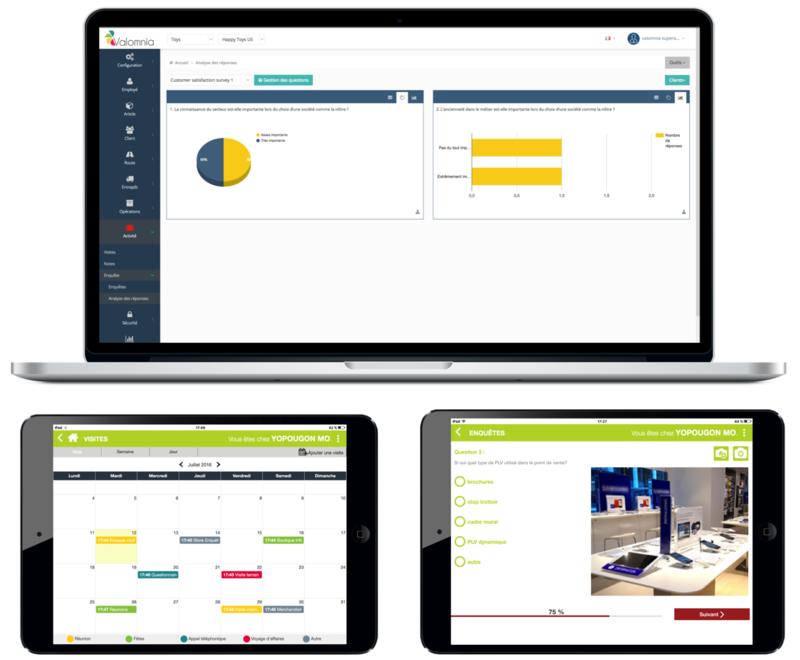 With Valomnia Store, enhance in-store customer experience, improve services quality, eliminate paperwork and multiply in-store Sales. With POS Supervisor, drive POS Marketing Surveys, ensure the availability products of and improve your brand visibility in direct and indirect sale points. 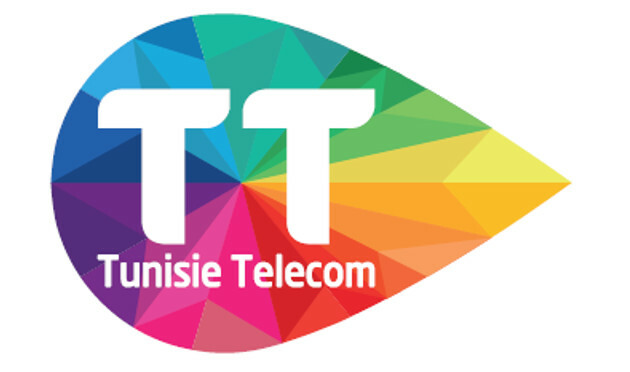 Tunisie Telecom 1st Telco Operator in Tunisia needed to standardize all its Street Sales operations and eliminate manual customer’s data entry on the information system. The Valomnia OCR which was embedded on a mobile application used by more than 500 Street Sellers in the Tunisian territory. 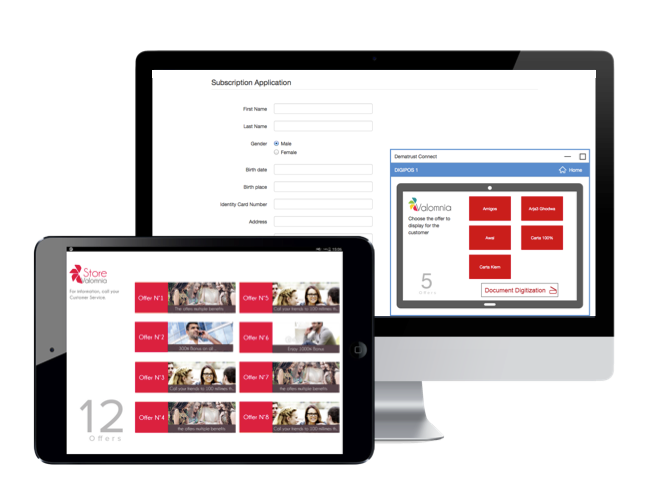 The Valomnia OCR dematerializes customers ID documents in less than 10 seconds per ID. 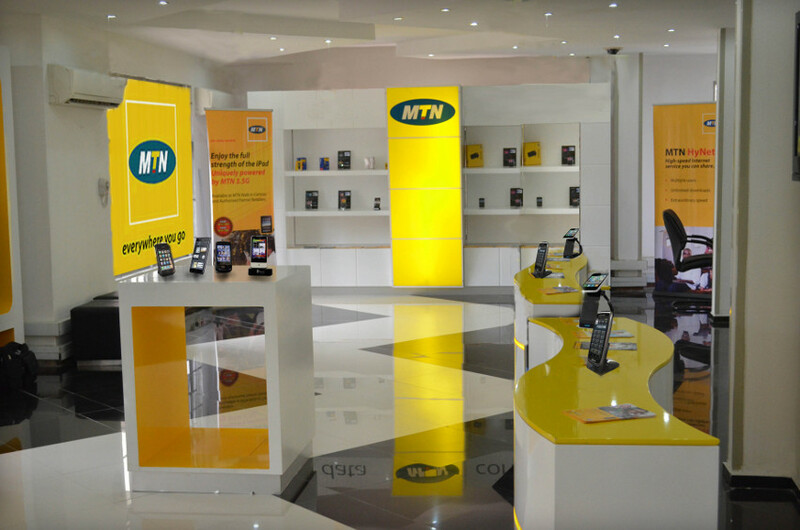 MTN team equipped its agents with a mobile application that takes pictures of its customers’ identity cards (National ID card, Passports, driver’s license) before the activation of the SIM card. Seven Million ID cards were stored on the customer database in image format. But MTN could not access the data on the card: Card number, name, … and use them on a digital way. We deployed Valomnia OCR which was accessible via a REST API to scan more than Three Million pictures in less than 30 days. Valomnia OCR extracted data from the recognition of the text fields and MRZ code printed on the card. We have developed on behalf of Orange UK, a Cloud solution allowing users to save their data on Orange’s Cloud safely. In case of a phone loss, the user can transparently retrieve his data to a new phone. His data is, of course, deleted from the lost phone. The solution implemented an authentication system using facial recognition to ensure an optimal safety when using the solution. The solution is available on Android phones distributed by Orange UK to its customers. We have updated the Android system to ensure optimal transparency of backup operations on the Cloud of customers’ personal data. Technically, we changed the file system of the operating system and exported to the application development level an API that directly accesses the SIM card, which is, of course, Orange’s property.